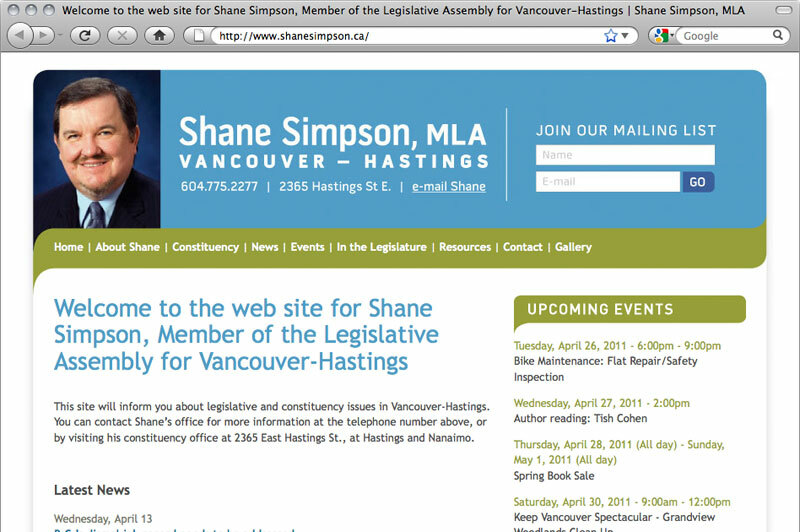 We designed and implemented a new website for Shane Simpson which allows his staff to use our Drupal CMS to post stories and events without the need for extensive technical knowledge. Foley is highly responsive to his client’s needs, taking the time to make sure he understands exactly what you need before diving in. I appreciate his expertise, creativity, and flexibility, as well as his a good-humoured approach to every challenge.